Recently the Nordics have become an increasingly popular location for building large data centres and cryptocurrency mining farms. The key advantages of the region include the cooler climate, renewable power and industry leading connectivity. The CloudCooler® Nordic Grade has been specifically designed to operate at very low temperatures and to achieve unparalleled free cooling efficiency while maintaining Class 1 ASHRAE compliant conditions. The CloudCooler range of units have options to combine ventilation, evaporative cooling and humidification. This provides operators with simple cooling solutions that are easy to install, maintain and operate. Components specified to operate in temperatures as low as -40C. 100% Class 1 ASHRAE compliance can be achieved in Nordic climates by using ECT modules which have in built evaporative cooling and humidification. For more information on ASHRAE please contact our Applications department. Both the ECT18000 and ECV18000 CloudCoolers are available in Nordic grade. Please contact sales@ecocooling.co.uk for more details on pricing and configurations available. Our modular CloudCooler range has been selected to take DataCentres in the Nordic region to the next level with the Boden Type Data Centre ”One”. An experimental lab and demonstration site that combines cutting edge technologies innovatively. 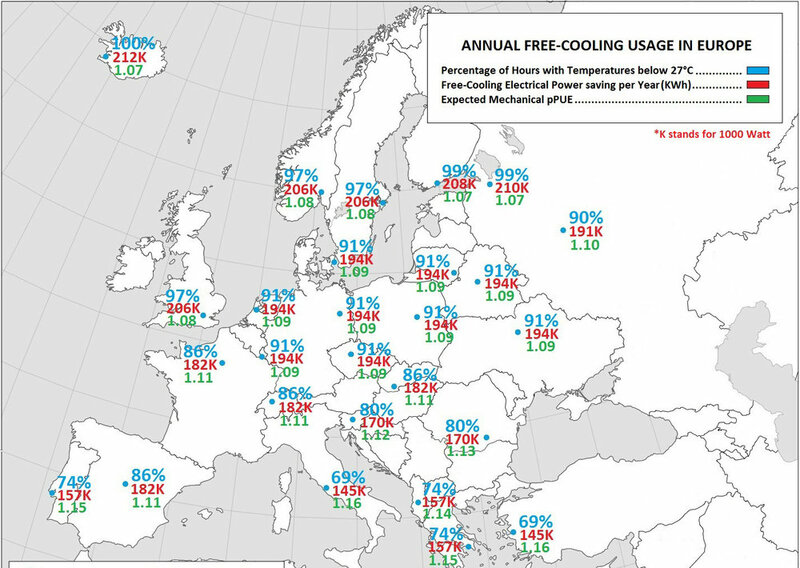 The climates of Nordic countries are perfectly suited to Free and Adiabatic Cooling. The huge returns in power saving demonstrate just how energy efficient the method is.